Seen on The Tonight Show with Jay Leno, HBO, Showtime, Funny or Die and a favorite at comedy clubs and private events across the country. Mike caters his act to each audience, writing special material for companies and guests of honor, and is able to work squeaky clean, late night blue, or anywhere in between. 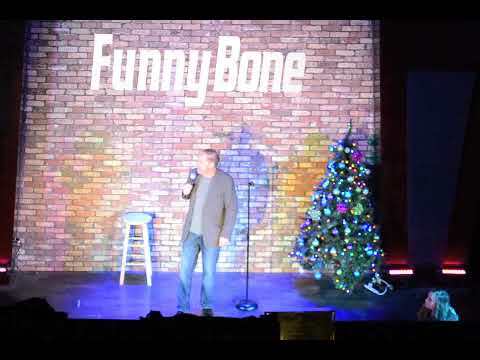 I booked Mike for an event for an apartment community we manage. He performed at PG-13 comedy show for everyone and they loved it! He's professional, very prompt with communication and yet hilarious. I will absolutely use him again and highly recommend him to others. Thanks again, Mike! I enjoy customizing my show for any group or event. Tell me about your company, charity or guest of honor and I'll create new material for and about them. Feel free to challenge me with something new. Mike Larsen is a veteran comic with appearances on HBO, Showtime, Funny or Die, and multiple performances on The Tonight Show with Jay Leno. He’s also an Emmy nominated comedy writer for shows like The Drew Carey Show, Ellen, Reba, Two Guys & a Girl, Real Time with Bill Maher, and many others. Mike recently bought a ranch outside Columbus, Ohio and splits his time between there and his longtime home in Los Angeles.